Fatty Acids are the basic structural units of Lipids. Lipid is the general term which refers to dietary fat. The body can synthesise many fatty acids. However, those which it cannot manufacture in adequate amounts must be obtained from the diet, and are termed Essential Fatty Acids (EFAs). Fatty acids can be saturated, monounsaturated or polyunsaturated depending on the degree to which the basic carbon chain of the molecule is filled with hydrogen. Prostaglandin, hormone-like substances in the body, are influenced by Omega-3 acids through a series of enzyme-dependent reactions. Prostaglandins functions include promoting smooth muscle contractions, regulating blood pressure and gastro secretions and influencing other hormones. Essential fatty acids are also important for normal growth, especially of blood vessels and nerves. A unique processing method allows the Omega-3 polyunsaturated fatty acids (EPA and DHA) to be supplied in their naturally occurring forms for maximum absorption and utilisation. 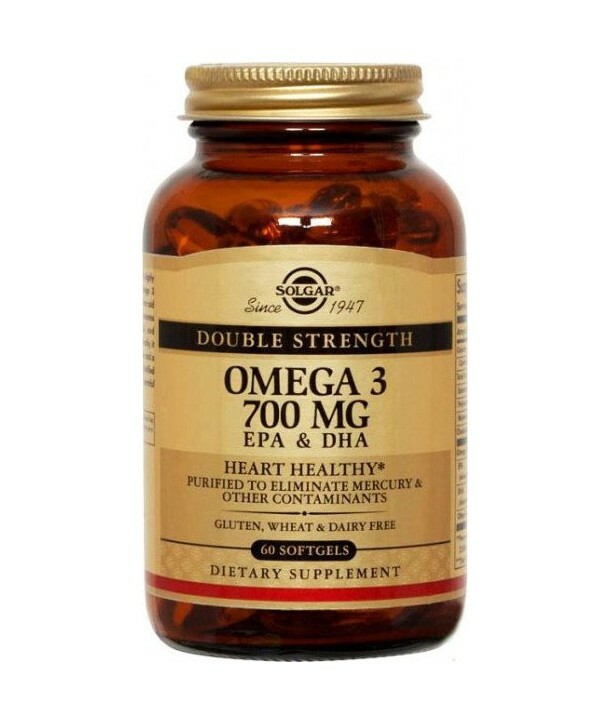 The result is a synergistically balanced source of Omega-3 polyunsaturated fatty acids. 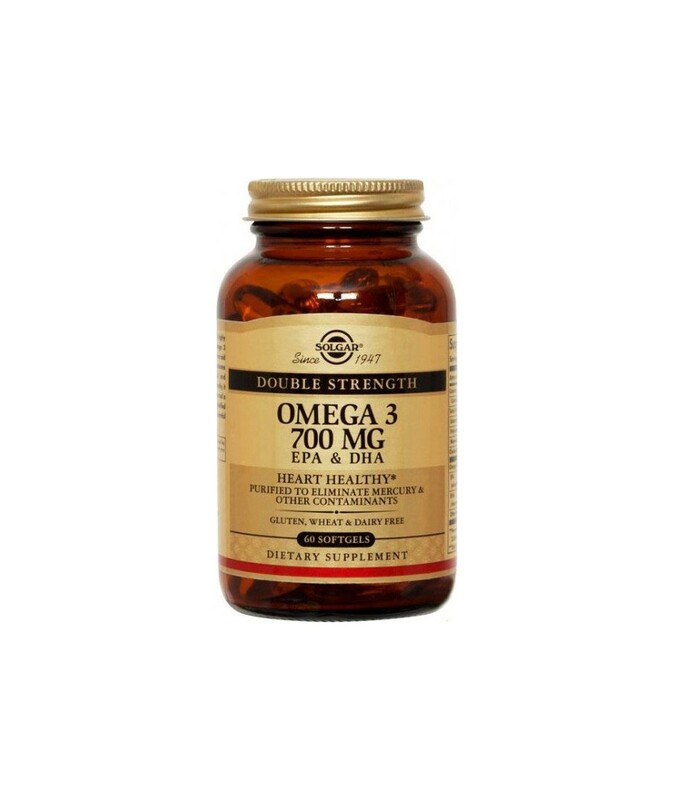 Solgar® Omega-3 Double Strength Softgels include oils from seasonally available cold water fish. Directions for use: As a food supplement for adults, four (4) softgels daily, preferably at mealtime, or as directed by a healthcare practitioner.